Okay, come clean. You're planning a heist, right? Bank robbery? Race track? Look, lady, we've seen this time and time again. 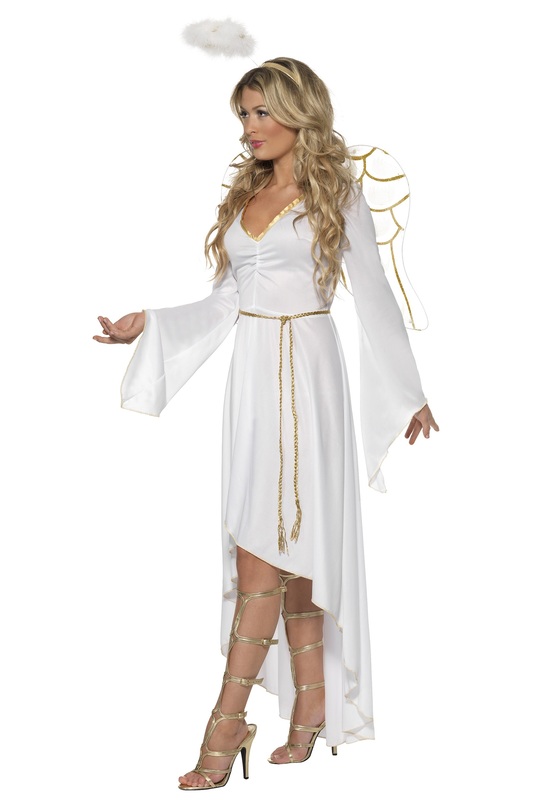 Somebody gets it in their angelic little head that dressing like an angel will convince just about everyone that they're completely innocent and would never, ever do something as awful as committing a crime, right? "Who, me?" you say to the officer, blinking those big doe eyes. "Why, I would never think of doing anything that might be illegal. I'm a simple sweet angel. Did you notice this dress?" Nice try, but we're seeing right through your ruse. You're not pulling a fast one on us. Yes, you've seen Ocean's 11 and you're convinced you'd do an even better job of taking down those casino winnings, huh? Listen, George Clooney, Brad Pitt, those guys are trained professionals, lady. Sure, they're not technically trained bank robbers, but we're 90% sure Ocean's 11 is a documentary. And clearly it takes an awful lot of charm, luck, and getting a giant team of eleven people together for you to succeed. Ah who are we kidding? Look at you! You're a sweet angel, you'd never do such a thing- wait a minute! Quite using your charms on us! Okay, you're right, we're overreacting. You look so pure and innocent in that outfit. That gold trim, and your furry halo, and your angelic wings, how could we ever suspect you? We're sorry. Here, let us buy you a drink as an apology. Hang on... where's our wallet? Wait a minute! I really enjoyed this costume! It was a tad big, but still looked great! 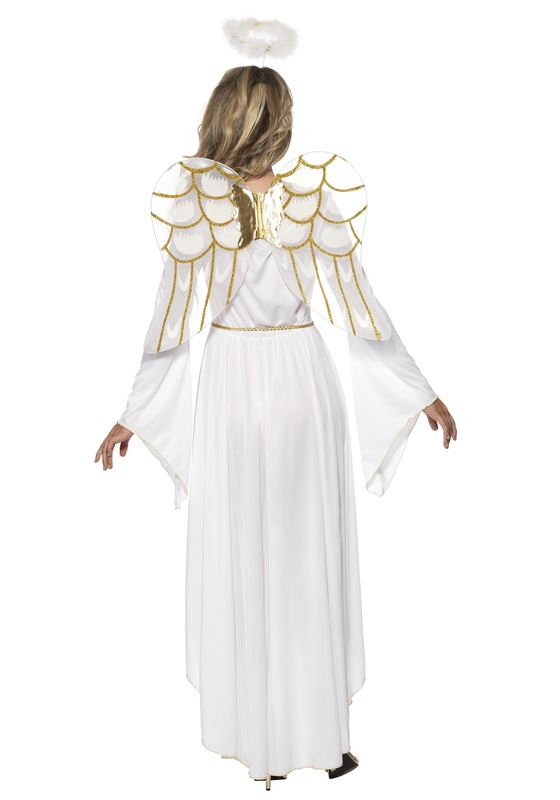 I decided to order larger wings, and different shoes (gladiator sandals) to complete the look. I also had to make sure to order a white slip to wear under it because it was pretty thin and see through. All in all it's my new favorite!